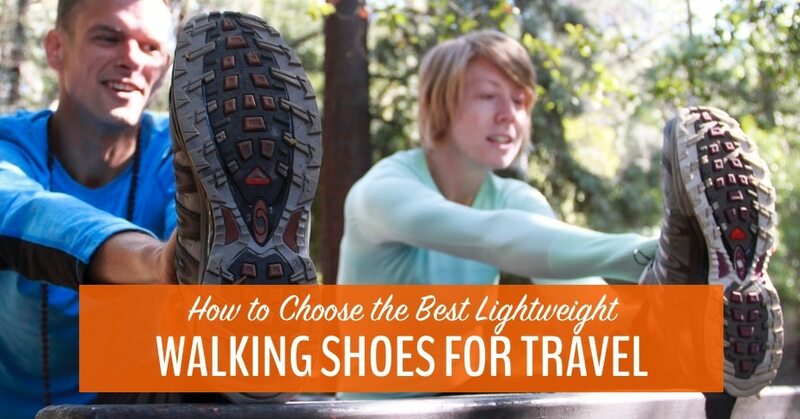 Have you been searching for the best lightweight walking shoes for travel? During our 20 years of travel, we’ve tested and rejected dozens of pairs of shoes. In this guide, we share our best tips for choosing travel shoes and reveal the shoes we recommend for you. Shoes are the minimalist packer’s worst enemy! Trying to pack all the shoes you need can turn your lightweight suitcase into an overstuffed nightmare. While a true minimalist would insist on taking a single pair of lightweight walking shoes, we recommend a slightly more liberal approach, especially if you’ll be on the road for more than a month. Only two pairs of shoes? That’s crazy!?! Now, we understand you might be used to having a closet full of shoes to choose from – we’ve seen some pretty excessive shoe collections in our role as house sitters! We’re not gonna say whose shoes these are – but she is an avid traveller! But when you’re travelling, you will be far happier without the burden of a pair of shoes for every conceivable occasion. If you want to travel independently and mindfully, with a little bit of adventure thrown it, it’s essential that you pack as lightly as possible. A small suitcase helps you keep your options open — you can walk with your suitcase, hop on a bus when you need to, and carry everything right onto the plane. After 5 years of full-time travel, plus 15 years of semi-permanent travel before that, we’ve tested and rejected dozens of shoe combos for our carry-on bags! A couple of years ago, we narrowed down our shoe selection to two essential pairs each. Currently, we’re also carrying a bonus pair each, since we have room in our minimalist suitcases. What’s in this guide to the best lightweight walking shoes? 1. What kind of shoes do you need in your suitcase? 2. How many pairs of shoes do you need for travel? 3. Why do you need comfortable walking shoes? 4. What makes a great walking shoe for travel? 5. What are vegan shoes and why do we recommend them? 6. Should you wear in your shoes before you travel? 7. What’s the best way to pack shoes for travel? 8. What kind of shoes do you need in your suitcase? What kind of shoes do you need in your suitcase? No matter where you’re going, you should get the best lightweight walking shoes you can afford. They will be on your feet every single day, so it’s worth getting a great pair. Your second pair of shoes depends on where you’re going and what you will be doing. 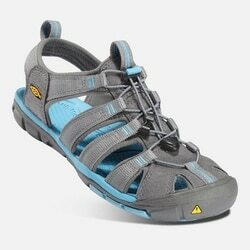 Our second pair of shoes is a lightweight walking sandal, so we are good to go for all climates. You might choose to bring a dressier shoe, instead, for nights out! How many pairs of shoes do you need for travel? How long are you going to travel? Usually, if you’re travelling for one month or less, you can get away with just a single pair of comfortable, lightweight walking shoes. Most people will bring a back-up pair, just in case. For longer trips, or a lifetime of travel, we still recommend just two pairs of shoes. 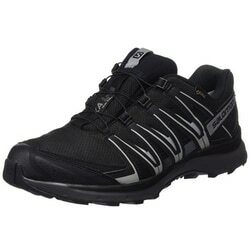 One pair of walking shoes and one spare pair for nights out or different climates. Sometimes your shoes get wet. That’s why you need a second pair! What season or weather will you be travelling in? If it’s going to be hot and dry, then a pair of lightweight walking sandals should be your first choice. We like to get sandals that cover our toes. On unfamiliar terrain, it seems like there is always something waiting to damage your toes! If you’re going somewhere cold or wet, you’ll definitely want one pair of waterproof shoes and an extra pair in case the first ones get too wet to wear. Your shoe needs will be very different if you’re going to Europe, Antarctica, or Southeast Asia. You’ll want a pair of stylish walking shoes for Europe, whereas in Southeast Asia, most people walk around in flip-flops, so style is less important than comfort. What is your travel style? 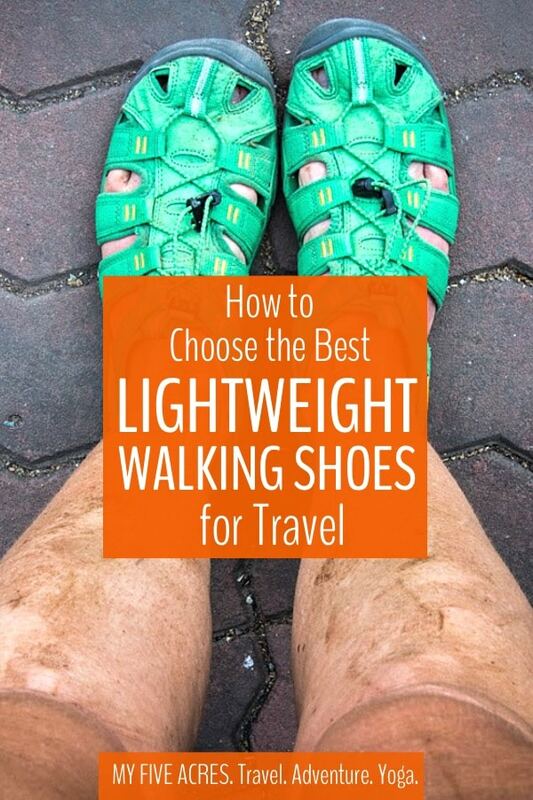 If you are a backpacker or a mid-range traveller, two pairs of shoes is plenty. If you’re planning on travelling high-end, you’ll need a third pair of formal shoes for all those Michelin-starred restaurants you’ll be visiting. Even a kitty needs a comfortable shoe or two. Why do you need comfortable walking shoes even if you hate walking? Walking and travelling go hand-in-hand – you can’t do one without the other. But for most of us, we will be walking a lot. Even if you’re not going to hike up a mountain, you walk to dinner, you walk in the museum, you walk down the city streets, you walk through the train station. It is easy to get your 10,000 steps when you’re travelling! If you wear flats or shoes without support, your legs are going to pay the price! By wearing proper, comfortable walking shoes, you’ll find your legs get less sore and tired by the end of the day, meaning you can go further and see more. You’ll also protect your knees, ankles, hips, and even back from injury. So comfortable walking shoes are essential! What makes a great walking shoe for travel? If you’re looking for a new pair of shoes, these are my must-have features. Waterproof. You can jump in puddles and ford streams with no wet toes. Also rainstorm-proof! Lightweight. They won’t weigh down your luggage or put unnecessary strain on your legs. Vegan. No leather, so you can avoid harming animals for our footwear. Comfortable. Your feet and legs are protected and supported for long hikes in cities or the wilderness. We love all the animals and our choice of travel shoes reflects that! What are vegan shoes and why do we recommend them? Did you know there is such thing as vegan shoes? Well, there is, and even if you aren’t a vegan in your eating habits, you can make an impact by choosing vegan shoes. They are, essentially, shoes made without animal products – like leather or crocodile skin or bunny rabbit fur. By choosing vegan shoes, you can feel good that you didn’t kill an animal for your footwear. Synthetic shoes also tend to perform better in unpredictable conditions, so your vegan shoes should last longer. Fun fact. While many shoes come without leather, most companies do not guarantee their shoes are vegan because they can’t trace the origin of the glue used in shoes. Unfortunately, shoe glue often contains horse hooves and other animal parts. Frowny face. For this guide, the shoes we recommend do not have any animal-based materials, but we cannot guarantee the glue used is vegan. Should you wear in your shoes before you travel? Absolutely! Even in the most comfortable shoes, it can take a little time for your feet to adjust, and for the shoe to adjust to your feet. Since we all have different feet, no shoe manufacturer can guarantee that their shoe won’t rub or pinch. So even if your trip isn’t for a while, buy your travel shoes now so you can try them out and get comfortable – or return them if they don’t fit. What’s the best way to pack shoes for travel? Finding room in your suitcase for shoes can be a total nightmare! That’s why you want to take as few pairs as possible. When I pack my shoes, I place the tops together, soles out, and face them in opposite directions – with the toe of one shoe in the heel of the other. I find this is the most space-saving and convenient configuration. Then I put them in a plastic bag and slide them into the very bottom of my suitcase. I don’t stuff my shoes with other junk because when you’re a minimalist packer, you don’t need to bother with such things. Stephen’s pick! Stephen has been travelling in Salomon shoes for the last five years, and it is an ongoing love affair. Judging by the number of people we see wearing these shoes all around the world, we’re not the only ones who are in love with them! They are comfortable right out of the box, well ventilated, but still warm enough for cold European winter. The cushioning is superb, protecting our feet and legs from hard concrete streets and marble-floored museums. Plus, if you get the GTX version, they are waterproof, too, making these our pick for the best waterproof walking shoes as well. Not just city shoes, they also perform well whether we’re climbing mountains, cycle touring, or scaling a volcano. If you’re only going to take one pair of shoes with you when you backpack Europe, these would be our first choice! Jane’s pick! When you’re travelling Europe, waterproof shoes are almost essential. The truth is, it rains — and when it does, you don’t want to be stomping around with shrivelled, freezing cold, damp feet. After living in my Salomon Women’s XA Pro 3D waterproof trail runners for years, I decided to look for a lightweight walking shoe that looked a little less clunky. I finally found these Merrell Siren shoes that are completely waterproof, have great grips, even on ice, and make me feel a little more stylish while I’m wearing them. 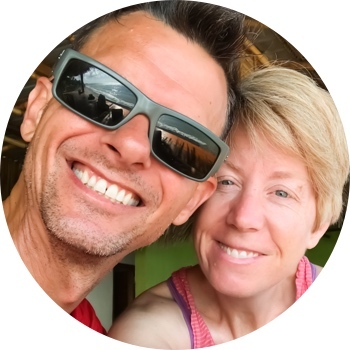 Their versatility is perfect for my travel style, where I might be climbing a mountain one day and then checking into a luxury boutique hotel the next. No, they might not be quite up to luxury standard, but you have to be a bit flexible with fashion when you travel the way I do! If you want to step up your fashion game a little, and know you won’t be doing any hiking or trail running on your trip, you can grab a more stylish, less versatile shoe. 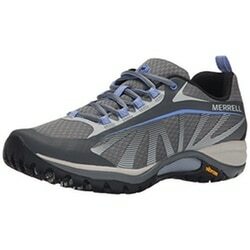 I like these Merrell sneakers because they aren’t just a pretty shoe — they are made for active travellers. They have anti-microbial lining, a breathable mesh upper, and extra traction for slippery streets and stairs. You just don’t find those features in an ordinary fashion sneaker! These shoes would be ideal walking shoes for Europe in summer but they are probably too well ventilated for a winter trip. If you’re heading to Europe in winter, try the next pair of shoes on our list. I love these Jambu shoes, not just because they look great and they are totally vegan. They also have a few features that make them perfect travel shoes. The first is their memory foam footbed. What can be more comfortable for an all day walk around Paris or Rome than memory foam? It’s like two little beds for your feet! I also love that they are slip ons and have anti-microbial properties, just the Merrell shoes above. 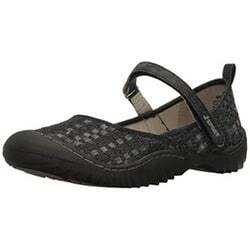 If you’re heading to Europe in winter, these Jambu shoes would be great! Stephen & Jane’s Pick! Yes, we have matching Keen shoes – it’s totally adorable! Since taking delivery of our Keen Clearwater Sandals in Thailand back in 2014, they have been permanent fixtures in our carry-on suitcases. When we’re in wintry countries where floors are cold, we use them as house slippers. In summer and hot countries, we transition them back to the great outdoors. 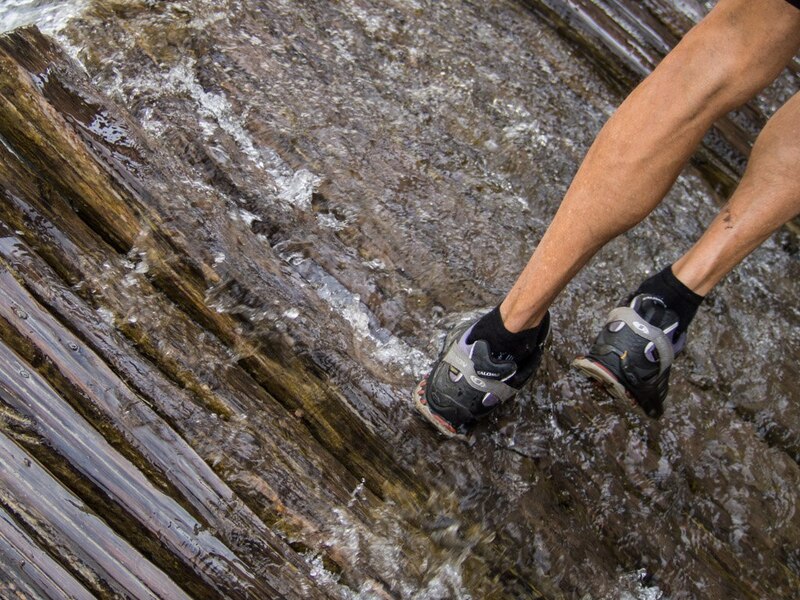 What do we love about our Keen travel sandals? Comfortable. 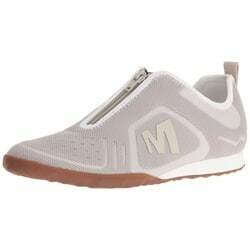 From the beginning they were comfy; no breaking in or blister patches required. Protective. Featuring an enclosed toe-cap, these sandals protect our feet from broken pavement in the city and jutting tree roots in the wild. Waterproof & quick drying. They don’t keep your feet dry but they also don’t get damaged when you wear them in water. Washable. We throw our sandals in with our regular laundry and they come out looking (and smelling) just like new. If you want animal-friendly shoes, check the description carefully, as the Keen Clearwater are available with or without leather. We are pretty keen on Keen as a brand, since our sandals have lasted through 5 years of adventures so far. 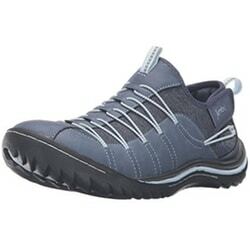 Check out their wide range of shoes, from flip flops to hiking boots. Many Keen shoes include leather, so always check the materials before buying. Now, remember how I said waaaaay back at the beginning of this post that you might want to bring a second or even (gasp!) third pair of shoes in your carry-on? You should think of this as your back-up / dress-up pair. If you go somewhere trendy, you don’t have to go in your everyday walking shoes. More importantly, if your primary shoes get wet or something else happens to them, you’ll have another pair on hand! Your second pair of shoes should still be functional enough to go for a stroll or get you through an evening walking tour but they don’t need to be a versatile as you primary shoes. They should also be extremely squashable and packable, so they take up as little room in your suitcase as possible. 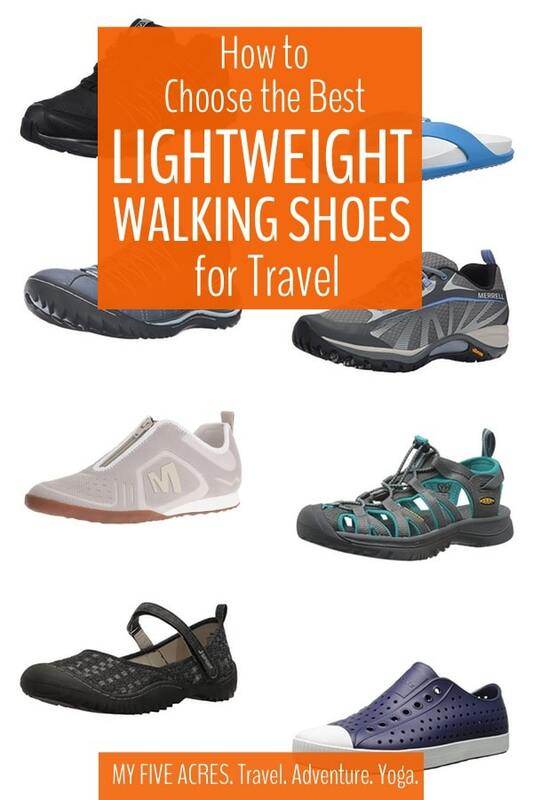 Here are some of our favourite casual travel shoes! Aren’t these Jambu shoes cute? They would look great with a skirt but they are still walking shoes. That’s important because, even when you get dressed up, you will still need to walk! With a memory foam footbed, a partially recycled sole, and of course, an all-vegan construction, there’s no reason not to love them. Stephen & Jane’s Pick: On our two-year bike trip, we both carried a pair of these Native Shoes as our back-up. Yes, more matching shoes. How adorable! These were the perfect day-off shoes for us, and we wore them walking all over the place, no socks required. One of their greatest features is that they are incredibly lightweight – like, so light, you don’t even notice they’re there. They are also perfect water shoes or rainy day shoes. Yes, your feet get wet, but your shoes come out fine and dry quickly. When we finally wore out our soles, after years of use, we were both so sad to let our Native Shoes go. If you’re into flip flops, then you’ll definitely want to pack a good pair! Anyway, my flip-flops, which I am wearing right now, serve as slippers in cold climates and street shoes in tropical ones. They’re also great for pools, beaches, and grotty hostel showers. I’m not sure how I managed to travel without them. I would recommend against just grabbing any old pair of cheap flip-flops, though. Cheap ones are uncomfortable and break in about five minutes. The deep footbed means you’ll get a little more protection for your heels and toes. They have anti microbial materials in the footbed too, so no stinky feet. 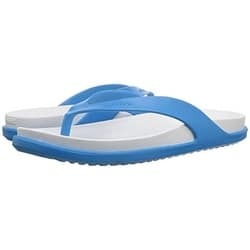 The strap and sole are a single piece of molded plastic, which makes them way more durable than a regular flip-flop and more comfy too. Well that’s it! I never thought I’d have so much to say on the subject of lightweight walking shoes but, as it turns out, 20 years of travel can build some serious knowledge. I hope you liked the guide and found your perfect shoe! Let us know what your favourite walking shoe is in the comments below — maybe we’ll try it next. 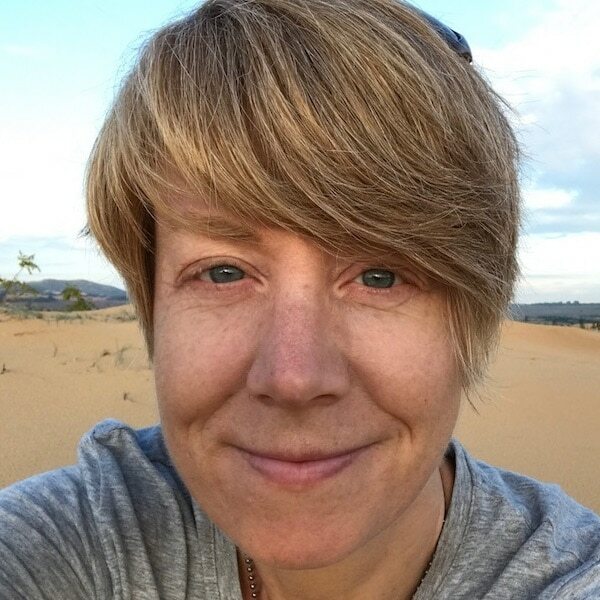 Pingback: What's it like to travel in winter in Vietnam? We share where to go and what to pack for a perfect trip. | My Five Acres. Travel. Adventure. Yoga. Pingback: How To Choose The Best Minimalist Backpack For Your Adventures | My Five Acres. Travel. Adventure. Yoga. Pingback: 13 Ways That European Culture Can Improve Your Life | My Five Acres. Travel. Adventure. Yoga. Pingback: 17 of the Best Books to Read While Traveling | My Five Acres. Travel. Adventure. Yoga. Pingback: What you Need to Know to Plan Your Nusa Penida Tour | My Five Acres. Travel. Adventure. Yoga. 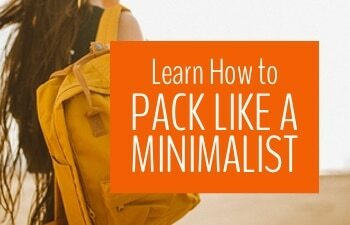 Pingback: Minimalist Travel Packing: How to Pack Light for Long-Term Travel | My Five Acres. Travel. Adventure. Yoga. Pingback: What You Need to Know for the Best 2 Days in Venice | My Five Acres. Travel. Adventure. Yoga. Pingback: Are Bluffworks the Best Travel Pants for Men? | My Five Acres. Travel. Adventure. Yoga.